Hey everyone! Today, I want to introduce you to an epic, fun program called First In Line, created by Random House for Young Adult book lovers! You were reading The Hunger Games before VOLUNTEERING AS TRIBUTE. You were FEELING THE FEELS from The Fault in Our Stars before it was TFIOS. Okay? Okay. You KNEW YOUR FACTION while other people were being sorted into their houses. First In Line offers YA readers exclusive advance access to bestselling and debut authors and behind-the-book content! 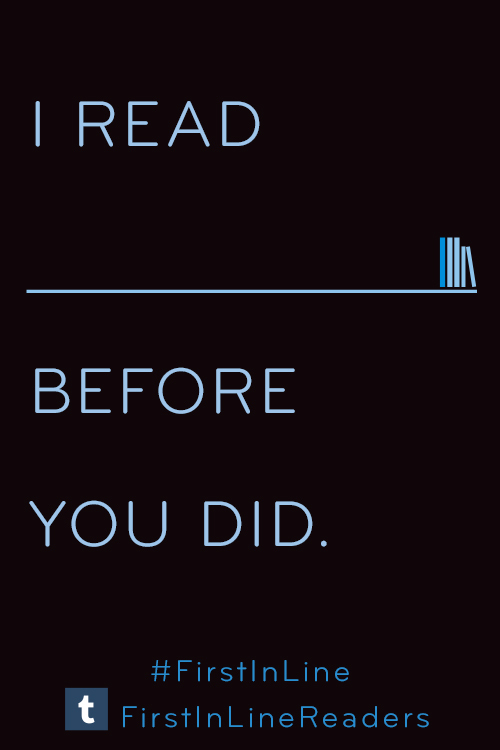 We invite you to join now at www.firstinlinereaders.com! Don’t forget to share your First In Line moments with hashtag #FIRSTINLINE. 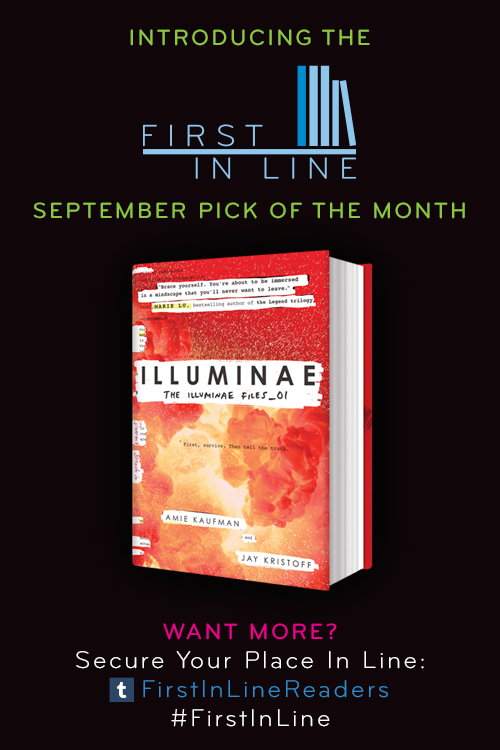 Tell your friends, teens, and colleagues to secure THEIR place in line at www.firstinlinereaders.com. And now for the awesome giveaway! Thanks to Random House, we have one First in Line tote bag (US Only) to give away! To enter, complete the Rafflecopter below! I joined! This sounds awesome and I cannot wait to see what more Random House has in store for us. :) Also, I really like the logo design, it is lovely! Very superficial of me, but it is a great piece of marketing!